The 1360 homes in Carolina Preserve were all constructed between late 2006 and the end of 2013. There is no new construction currently available or projected for Carolina Preserve. Turnover of homes in Carolina Preserve is relatively small, but there are approximately 60 to 80 homes re-sold every year. 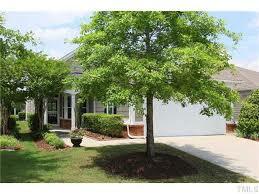 Carolina Preserve is an accredited 55+ active adult community. This means that every home must have at least one full-time resident (does not have to have an ownership interest in the home) who is at least 55 years of age. No permanent residents under the age of 19 are allowed, although children may visit for up to 90 days per year. Most of the homes in CP are ranches, although there are a few with basements or lofts (partial second floors). All have accessibility features like wider doorways, and all have two-car garages. They are ideally designed for older residents. Realtors! Information you need to list a property is readily available via HomeWiseDocs.com. Use of this web site helps the community and management company track information regarding sales and closings and ensures that consistent information is provided. Please go to that web site, register and acquire a $20.00 HOA Listing Addendum. Requesting the information via HomeWiseDocs saves you time. You should find it very convenient. If you don’t have all of the information requested, please enter “N/A” in that field. For example, you probably don’t yet have a Buyer, so in the Buyer field, please enter “N/A”. Thank you for using HomeWiseDocs!